Expedia can help you save loads with Santa Catarina Palopo travel packages. With all that extra cash in the bank, you might even like to lock in a few more nights. Would you like to earn savings up to C$590*? Book your package deal on Expedia now! Almost all bookings can be cancelled with no added fees from us. There's no end to the number of awesome things you can do when you visit a new place. So why not get your trip to Santa Catarina Palopo off to a cracking start by perusing some of our top tips? After all – out there starts here! Wouldn't mind adding some deeper meaning to your trip? Make the trip to Church of Saint Francis. No matter your beliefs, it's the perfect place to discover a little about the local religion. There's a great range of things to keep you busy in and around this destination. An ideal way to truly get a taste of a city's culture is to explore its busy marketplaces. Browse the goods and shop like a local at Panajachel Municipal Market. Still have time to spare? Make sure you slip on your most avant-garde outfit if you're headed to Casa Cakchiquel Arts Center. Holding a range of interesting events, performances and festivals around the year, it's a major part of the local cultural landscape. 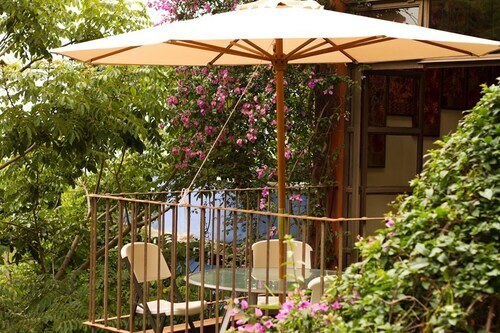 Before you make your way to Santa Catarina Palopo, secure a comfortable room on Expedia. You'll have roughly 20 accommodations to choose from — your cheap vacation or luxury getaway awaits! 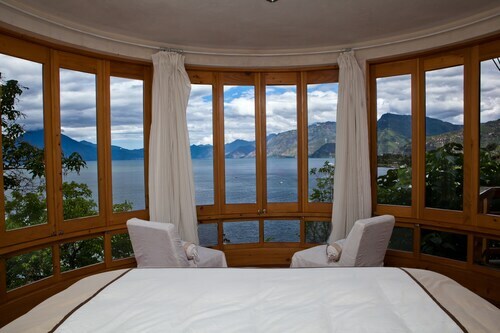 The Laguna Lodge Eco-Resort & Nature Reserve (1 Tzantizotz) and the KAALPUL ATITLAN ECO HOTEL & SPA (Lake Atitlán) are two of the higher-end choices in Santa Catarina Palopo. Stay at either and you're sure to have some of the nicest rooms in town. 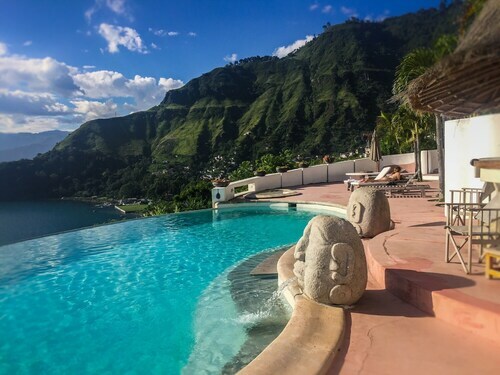 Alternatively, if you're traveling on a budget, the Regis Hotel & Spa (3a avenida 3-47 zona 2) and the La iguana Perdida (Santa Cruz La Laguna, Sololá) may be more your style. No traveler likes standing around at the airport. But it's worth it when you think about the vacation that's just around the corner! Situated 40 miles (64 km) east of Santa Catarina Palopo, La Aurora International Airport (GUA) is the closest terminal. 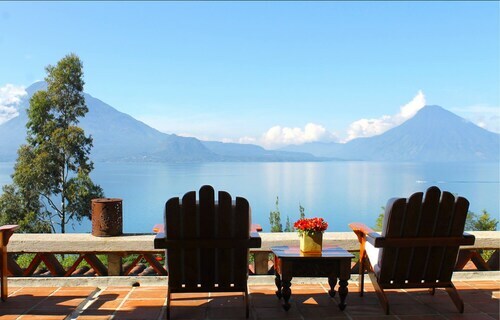 Situated on a lake, this villa is within 2 mi (3 km) of The Maya Traditions Herbal Medicine Garden, Church of Saint Francis, and Panajachel Municipal Market. La Galeria and Casa Cakchiquel Arts Center are also within 3 mi (5 km). 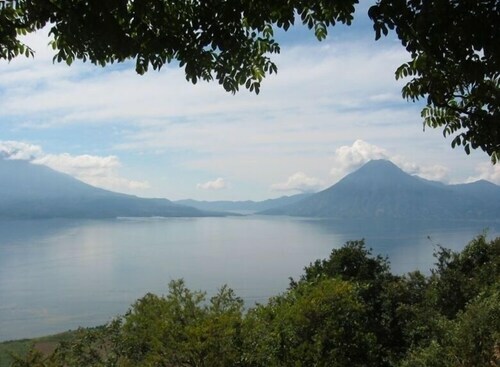 Situated in Panajachel, this hotel is 2.9 mi (4.7 km) from The Maya Traditions Herbal Medicine Garden and within 6 mi (10 km) of Church of Saint Francis and Panajachel Municipal Market. La Galeria and Casa Cakchiquel Arts Center are also within 6 mi (10 km). This family-friendly Panajachel hotel is located on a lake, within 3 mi (5 km) of The Maya Traditions Herbal Medicine Garden, Panajachel Municipal Market and Church of Saint Francis. La Galeria and Casa Cakchiquel Arts Center are also within 3 mi (5 km). 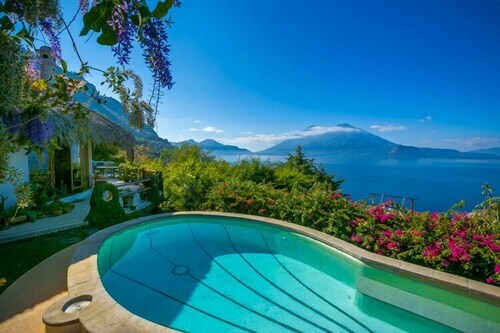 Situated in Panajachel, this historic vacation home is within 20 mi (32 km) of Azul Maya Archaeological Museum, Church of Saint Francis, and Panajachel Municipal Market. The Maya Traditions Herbal Medicine Garden and La Galeria are also within 20 mi (32 km). Situated in Panajachel, this vacation home is within 3 mi (5 km) of The Maya Traditions Herbal Medicine Garden, La Galeria, and Casa Cakchiquel Arts Center. Church of Saint Francis is 3.1 mi (4.9 km) away. 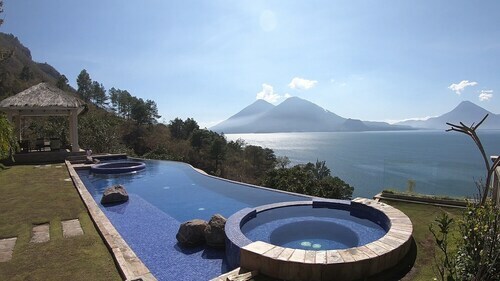 Situated in Panajachel, this romantic vacation home is 2.7 mi (4.4 km) from The Maya Traditions Herbal Medicine Garden and within 6 mi (10 km) of Church of Saint Francis and Panajachel Municipal Market. La Galeria and Casa Cakchiquel Arts Center are also within 6 mi (10 km). Situated in Panajachel, this vacation home is within 3 mi (5 km) of The Maya Traditions Herbal Medicine Garden, La Galeria, and Casa Cakchiquel Arts Center. Church of Saint Francis and Panajachel Municipal Market are also within 3 mi (5 km). Fri., 16 Aug. - Fri., 23 Aug. Mon., 26 Aug. - Tue., 3 Sep.